In spring, I received an email from our friends' little girl, Kaiulani, asking for pledges to her Jump Rope For Heart. 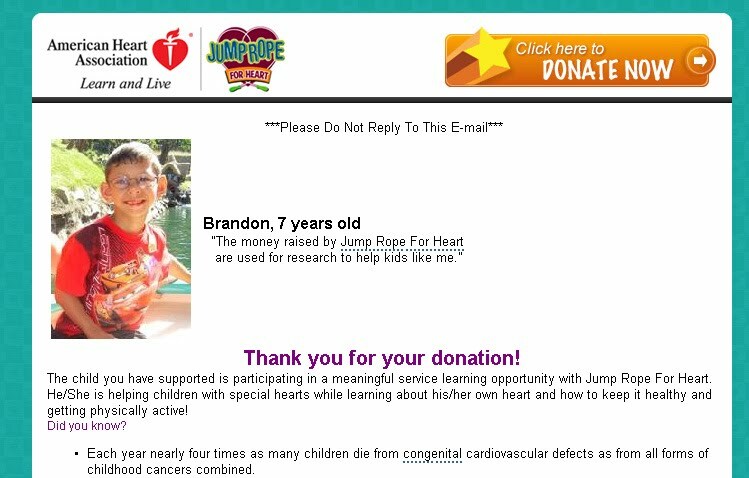 I participated in Jump Rope For Heart when I was a kid, but I kind of missed the point of it. I was a first grader at Haili Christian School in Hilo on the Big Island. We were sent home with the forms to raise pledges...asking adults we knew to pledge so much money for every minute we would jump rope. Then one day, we all went to the gym and we took turns jumping rope. I rocked at jumping rope, I sucked at raising money. 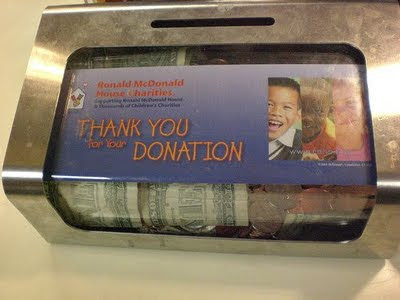 I didn't really get the whole purpose of trying to raise money. I felt so bad for all the kids in line waiting to use my jump rope that I jumped for maybe a minute and then just stopped and handed the rope to the next kid. Hey, I was six...I didn't know. Now, I'm way older. And it was so easy to give online to Kaiulani's sponsor page. A few clicks and I was sent a confirmation email. Seriously, it didn't dawn on me until afterward that the American Heart Association was raising money for families like me. I don't know. When I heard heart research, I just thought of heart disease that affected elderly people. It didn't run in my family so I didn't really have a personal connection. I never knew about the children who are born with heart defects. 1 in 100 babies are born with a congenital heart defect. This little girl, Kaiulani, is helping raise money that is educating scientists and doctors on ways to help my baby girls. By doing that, Kaiulani has given me an amazing gift. A month later, on my usual drives through the McDonald's fast food lane, I looked down and saw that usual little box asking for money for the Ronald McDonald Home Charities. Wait, that applies to my family too. When we were faced with moving to San Diego if Rory was a candidate for heart surgery, we were told to look for a place to stay. Treatment would have taken up to a year and we thought at the time that we would have one little baby in the hospital and two at home with us. We were freaked out at the idea of having to find a place to stay so far from home. We were looking at applying to stay at the Ronald McDonald House. 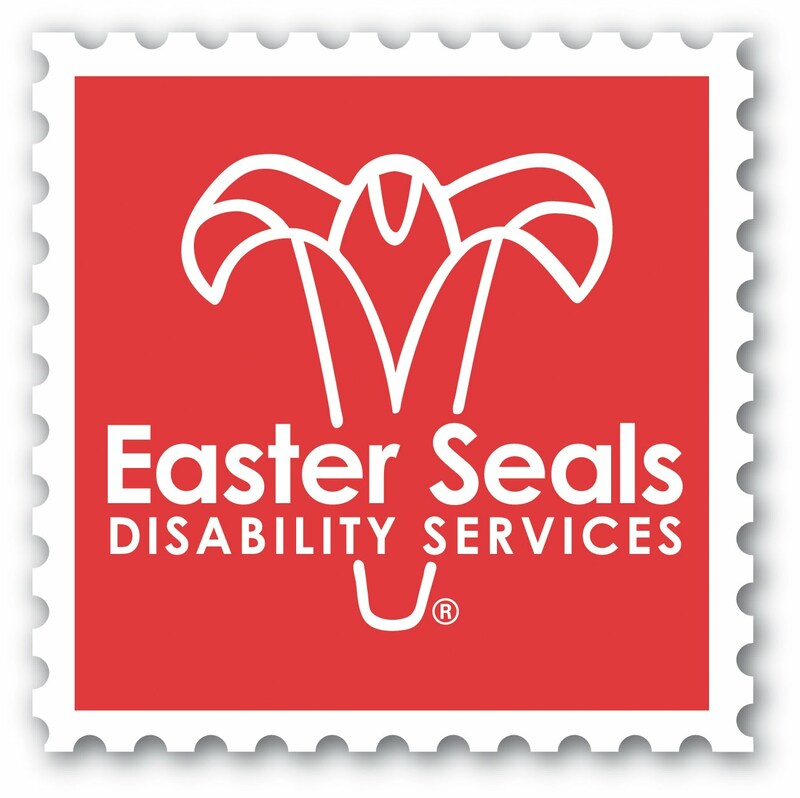 I only knew Easter Seals because of their telethons. 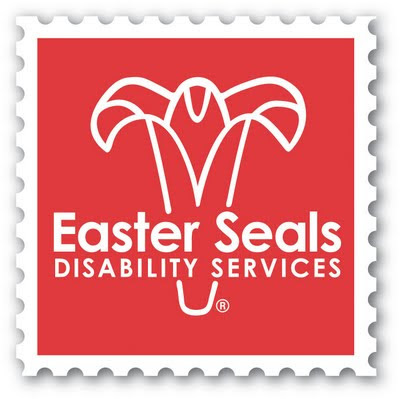 Now I know them as a wonderful organization committed to serving those with disabilities and working to help prevent it. They send physical and speech therapists to work month with Slugger in our home free of charge. Lastly, there's the March of Dimes. They are committed to battling birth defects, premature births, and infant mortality. Their researched helped the development of Surfactant. Slugger's premature lungs were not ready for breathing. When she exhaled and they collapsed, the walls of the lungs would stick to each other and she wouldn't have been able to inhale, expanding those air sacs. She was given surfactant which acts as a lubricant across the lungs to keep air sacs open and minimize scarring. They also have a wonderful online support group for people with sick children or who have lost children. I spent a lot of time on it while Slugger was in the NICU. In one week, on Saturday, April 23rd, Scott, Slugger and I will be walking in the March of Dimes "March For Babies." 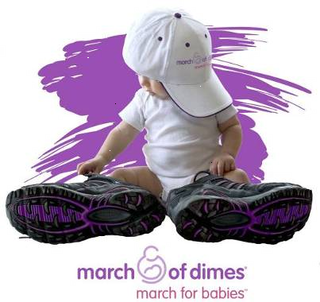 We'll be walking 5 miles at Kapiolani Park to raise money for the March of Dimes. My college friend, Yong, has done the March of Dimes walk annually for years now. He called me up last week and said he wants to walk for Slugger this year. 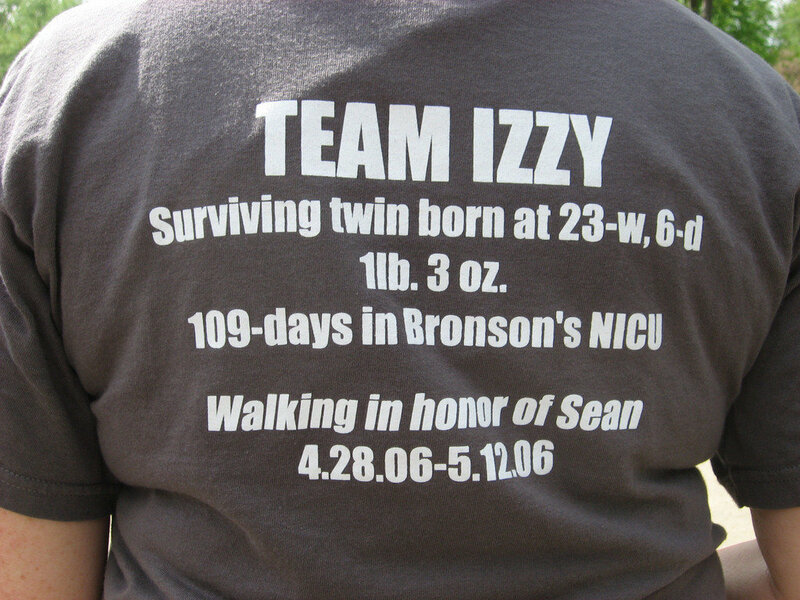 For parents of preemies, it's an honor to put your child's name, gestational age at birth, and birth weight on your shirt for all to see. This year, we'll be celebrating Slugger. Sadly, there are a lot of parents who have shirts that are in honor of preemies who didn't make it (which is why this walk is so important). It's too soon for us to walk for the twins, we're not ready for that. But we can focus on the positive, and walk for Slugger. 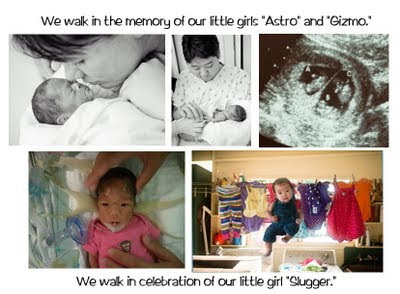 And next year, we hope to be walk for all our girls. I am proud to walk for my daughters. Please come and join us!